Griff: I want you to keep your record of not having as many correction notices as the NFNews, but this one I had to leave accurate, for the record. 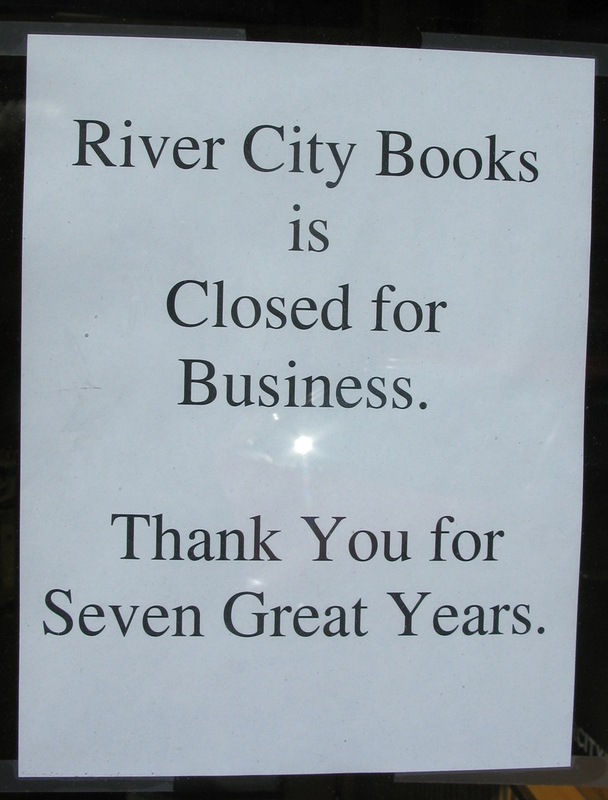 River City Books closed on Sunday the 29th 0f March, at 4 PM. The date is ever etched in my mind because the irony of it being on VMS’s Birthday could not be ignored. Yes, sadly I will be closing Bookfellows brick and morter storefront; but will continue to sell online and have my office out of my home. There will be wonderful prices on, bookcases and fixtures as we get closer to closing date. A progressive sale on books, bookends, character sketches, paintings, etc. is now in process. Shop Early for best selection, Shop Often for repeated savings! Right Now: 20% off everything through April 12, 2009. Thanks, Patty… keep us updated! Just wanted to mention that all Bookfellows bookcases will also be sold. I have some wonderful pieces of furniture. The three section (with window cornice) case is lighted and very nice. For retailers–I have a wonderful antique glass case that is unique. The tall floor to ceiling cases that were hand done are all set to go once the store closes. Stop in and take a look. I learned today that he also sells bikes and accessories! Just remember that there are two great college Bookstores still in town…both of them featuring rows and rows of new books. 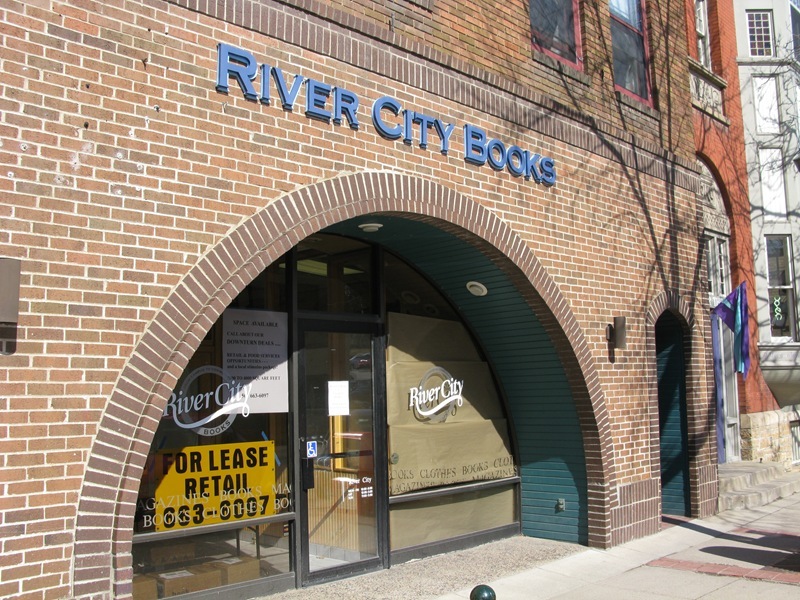 Both stores welcome the public, and both are just a few minutes from downtown. 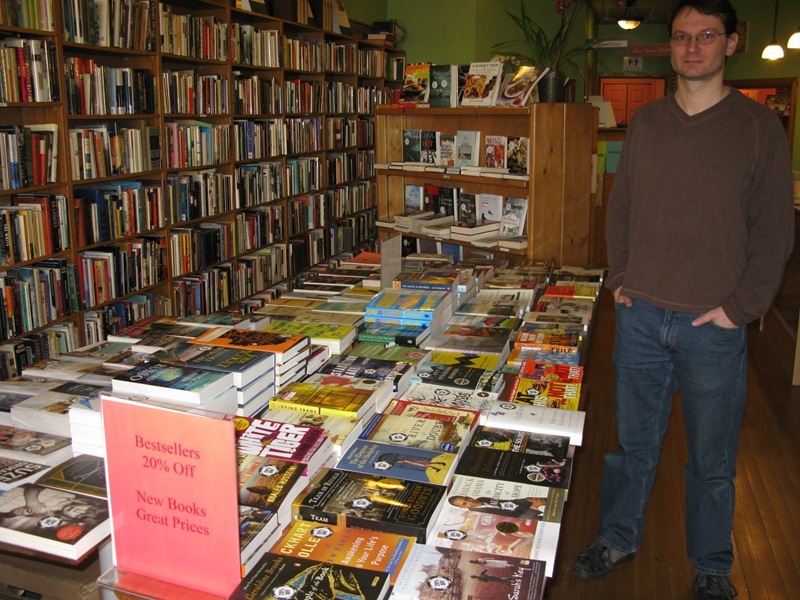 The Carleton Bookstore is open until 8 every night except Sunday, when it’s open from 12-4, and it’s only two blocks from downtown! Hello I will keep you all posted as prices go down. Still a wonderful selection of quality USED/COLLECTIBLE books: Religion, Poetry, Childrens (except printed 1985 and earlier), Fiction (Hard cover and Paperbacks), Self-Help, Psychology and SO MUCH MORE. Lots of nice bookends, bookmarks, bookcases, paintings, still available! Thanks to all who participated in the 20% off starting discount! 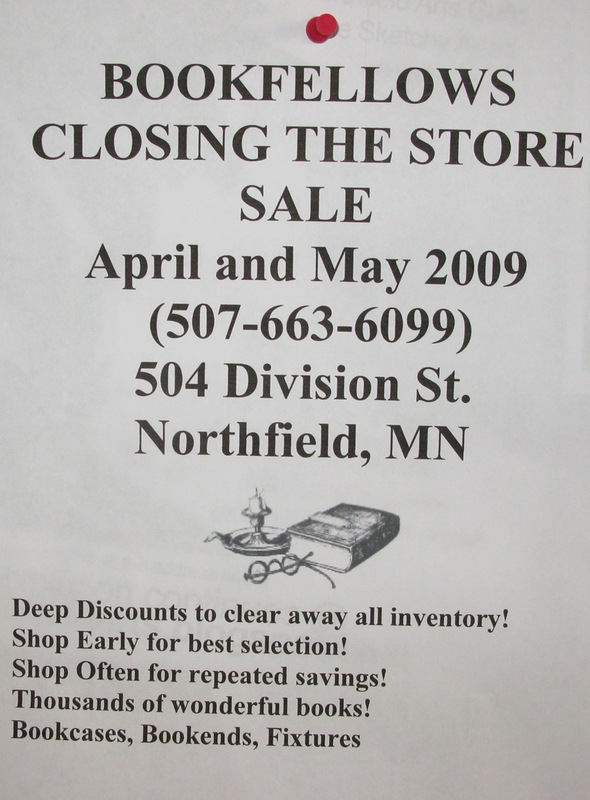 Prices will be 30% off starting April 13, 2009!!! “Why are we closing? 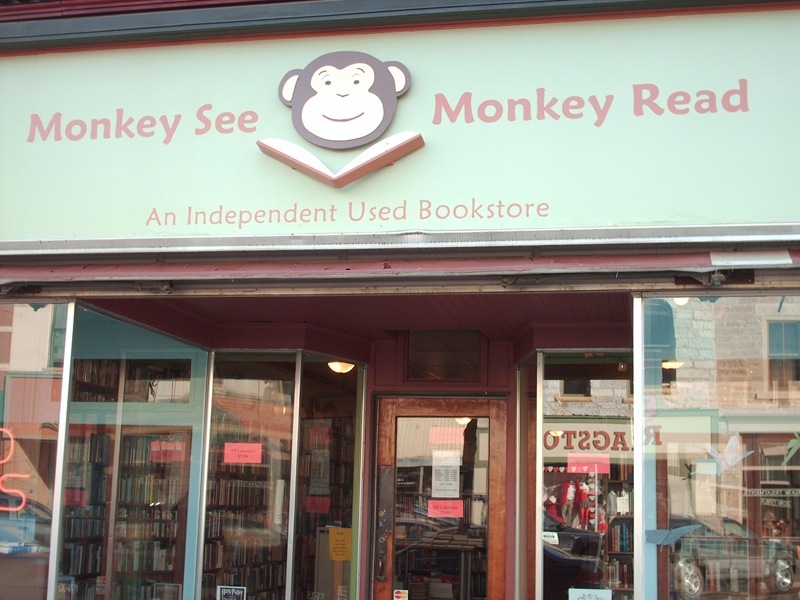 There are many reasons, but basically, not enough people buy books here. We have many loyal customers, just not enough of them, and our cloning experiments have not yielded satisfactory results. And way too many people (not you, but someone you know) are buying their books at Amazon. 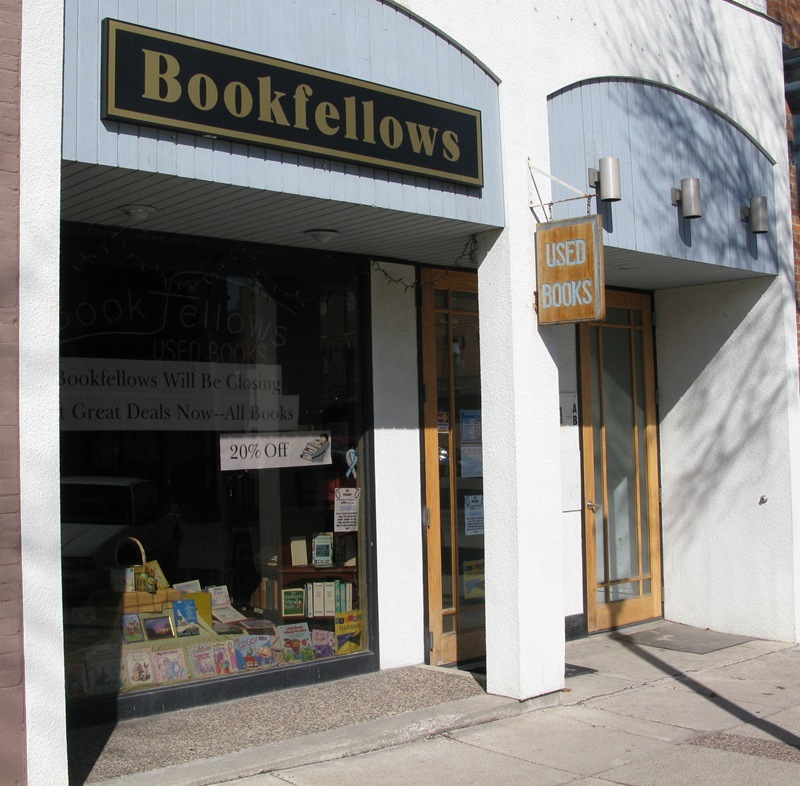 I will leave one more reply to let you know that there are only four more weeks left before Bookfellows closes the store front doors. So far many people have stopped by and picked up some nice deals–thank you! For the next two weeks everything, except consignment books, will be 40% off! The last two weeks of May will be 50% off and then it is over at the store. I must say that Bookfellows store was a wonderful time for me. 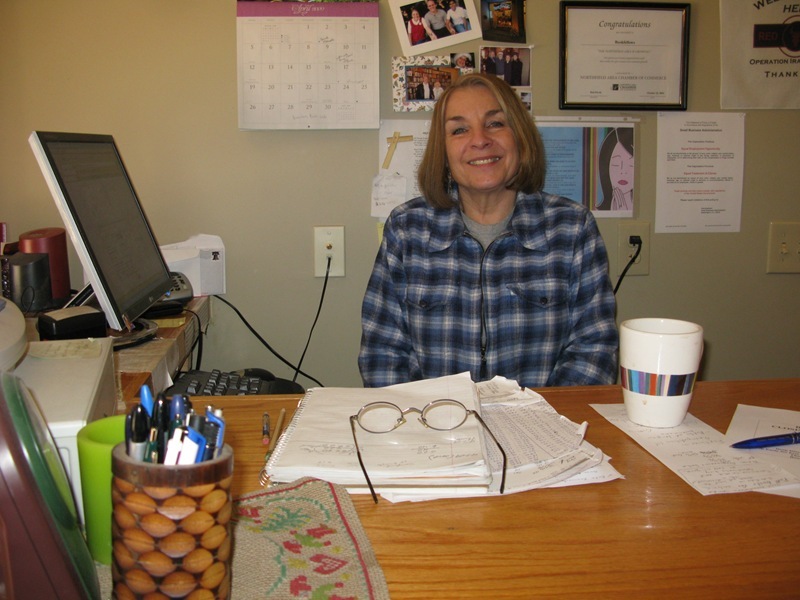 I will miss the store and fellowship with all of my regular customers. Hopefully, some other wonderful store will get an opportunity; as our economy picks up, and city administrators change the commercial tax structure, to help small businesses survive. Again, thanks to everyone who has supported Bookfellows. Hope to hear from you online–Northfield folks I will even arrange delivery instead of charging shipping! Just give a call if you see something you want as the inventory changes.